SEOUL, South Korea (CNN) -- The North Korean submarine found off South Korea's east coast was part of a larger infiltration operation, the South's defense ministry said Sunday. The sub was spying on roads and military air strips, ministry officials said, rebutting the North's claim that the submarine was on a routine training mission and strayed accidentally into South Korean waters. Twenty-one North Koreans have been killed or found dead since the submarine was found, and one was captured alive. Four South Korean soldiers were killed hunting for the submarine's crew. North Korea has demanded the return of the sub and its crew. TAIPEI, Taiwan (CNN) -- Chinese activists said Sunday they plan to launch a second attempt October 6 to reach a disputed group of islands in the East China Sea. 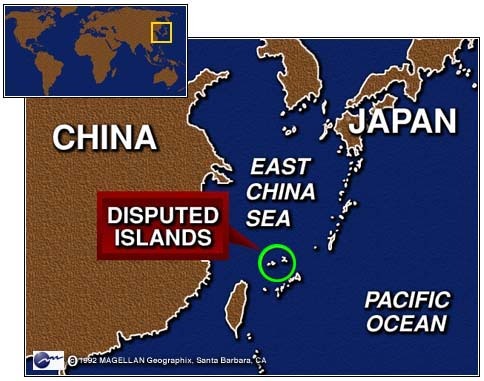 The Chinese, from Taiwan and Hong Kong, want to displace a group of Japanese activists who have staked a claim to the reportedly oil-rich island chain, called Diaoyu by the Chinese and Senkaku by the Japanese. 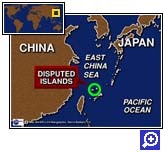 An attempt by Hong Kong activists to reach the islands last week failed when Japanese patrol boats blocked their ship. One of the activists drowned after jumping from the ship. ST. PETERSBURG, Russia (CNN) -- Russian voters in the Leningrad and Rostov regions went to the polls Sunday to choose a governor. In the Leningrad region, Kremlin-backed Alexander Belyakov, the incumbent, was expected to handily defeat his communist opponent and nine other candidates. In Rostov, the Yeltsin-appointed incumbent and a communist rival were having a tighter race. Fifty-two governors are up for election in Russia's ongoing provincial elections; the winners will also hold seats on Russia's 178-member Federation Council. 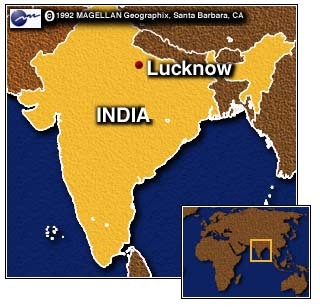 LUCKNOW, India (CNN) -- Indian security forces were on heightened alert Sunday as clashes erupted between Hindus and Muslims in the north Indian state of Uttar Pradesh on the eve of state assembly elections. 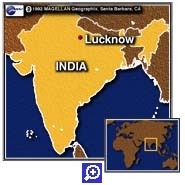 Clashes began late last week, and tens of thousands of Indian troops were sent into the area to guard the elections. Dozens of people have been injured. The three-phase elections begin Monday. BEIJING (CNN) -- Eleven people were killed in China's Sichuan province when a bomb exploded in a cinema, the Sichuan Daily reported on September 26. The report said 37 people were seriously injured and another 60 injured slightly. The cause of the explosion was under investigation, but the newspaper said police had determined it was an intentional bombing.